The Pueblo of Santa Ana is located between Albuquerque and Santa Fe on 79,000 acres including New Mexico's fertile Rio Grande Valley. Our Pueblo offers rich cultural experiences, exhilarating outdoor recreation, exciting casino gaming and live entertainment. The Santa Ana Pueblo people have occupied their current site in central New Mexico since at least the late 1500s. 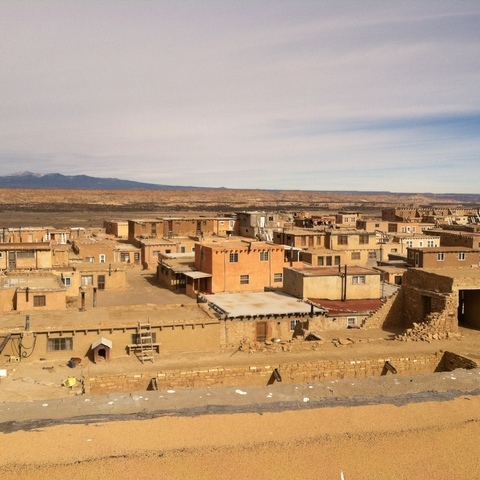 Tamaya, the Old Santa Ana Pueblo, was established in the late 1600s. The Old Pueblo is open to visitors only on Feast Days. 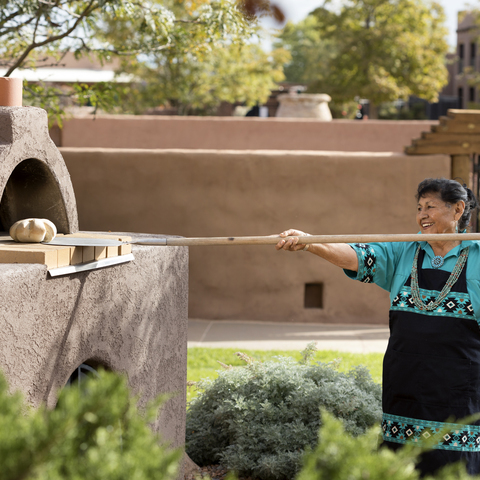 Experience the renowned hospitality of the Tamaya people at our Hyatt Regency Tamaya Resort & Spa. This luxury resort offers the award winning Tamaya Mist Spa & Salon, the championship Twin Warriors Golf Course, the Stables at Tamaya, the Tamaya Cultural Learning Center, and unique cultural activities like Native American dances, traditional bread making and storytelling. Enjoy fine dining and shopping for Native art and jewelry as well. The Santa Ana Star Casino, located just minutes away from Tamaya, offers slots, table games and poker. The Stage at the Star offers live music, exciting DJs and standup comedy. The Feast Buffet, Mesa Grill, Sadie's at the Star and Starlite Bar & Grill offer dining options for every taste. And there is fun for the whole family at the Starlite Lanes Bowling Center. The Santa Ana Golf Club is a 27-hole championship links-style golf course with five sets of tees on every hole, a 22,000 square foot Club House, eight lakes, full-service Pro Shop, practice facilities, hospitality quarters, four-star restaurant and a casual bar and grille. Santa Ana Pueblo is located in north-central New Mexico north of the Town of Bernalillo and about 18 miles north of Albuquerque. The Spanish first encountered the tribe in 1598 in the old Santa Ana village of Tamaya, which remains the location for the tribe's ceremonial activities and that is listed on the National Register of Historic Places. The original Spanish land grant covered an area of 15,400 acres. President Lincoln confirmed the grant in 1864; Congress ratified it in 1869; and it was patented in 1883. Additional grants and purchases brought the reservation to its present size. 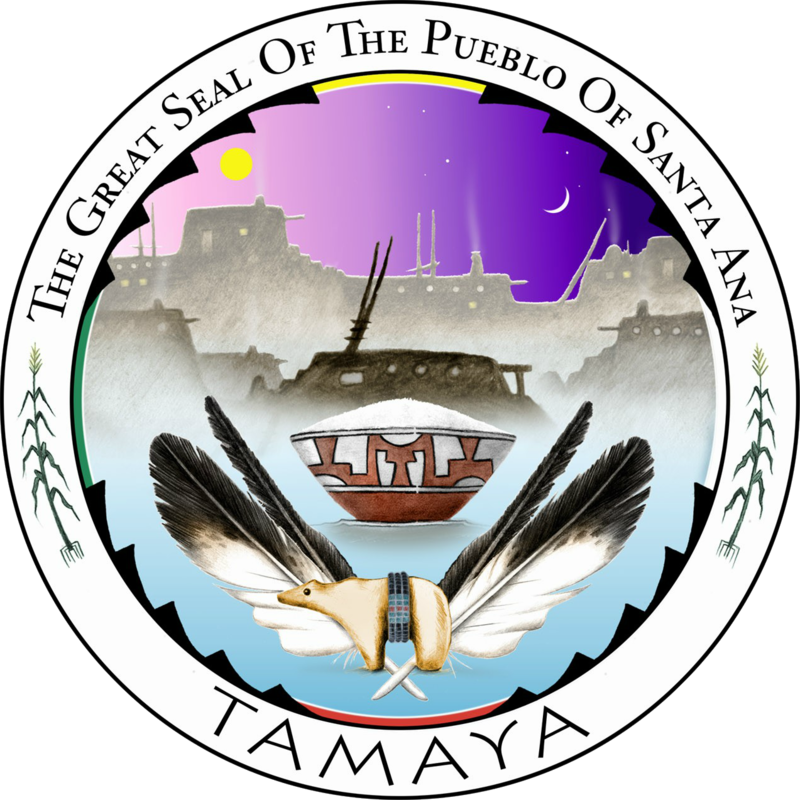 The people of Santa Ana refer to themselves as Tamayame and their original settlement along the Rio Jemez as Tamaya - known to outsiders as Santa Ana. Members of Tamaya have resided at Santa Ana since at least the early 1500's and many of the citizens of the Tamaya speak their native language - Keres. The tribe's ancestors migrated to the area from the prehistoric site of Paak'u in the Galisteo Basin sometime between AD 1200 and 1300 and farmed for a time at the confluence of the Rio Grande and the Rio Jemez. The Santa Ana people engaged in dry farming on the hills behind the village and along the Rio Jemez between Ranchitos and Tamaya. As early as 1350, the tribe was utilizing ditch irrigation. After the arrival of the Spanish, the Tamaya began to raise livestock extensively raising mostly sheep and cattle. At some point, the region's climate apparently grew drier and farming along the Rio Jemez became much less productive. In the late seventeenth century the Tamayame began farming along the Rio Grande because of their experience in the area and their recognition that the lands along the river valley were more fertile that those along the Rio Jemez. Since the sacred Native buildings and the pueblo's Saint Anne's Catholic Church are located in Tamaya, most Santa Ana families maintain two houses, one in the old village and another in one of the farm villages of Chicale, Rebahene, or Ranchitos. 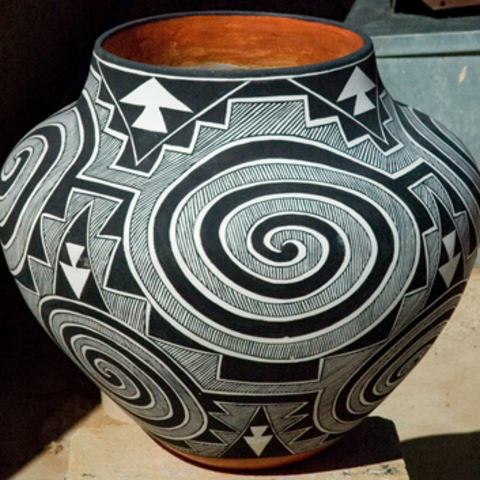 Traditional Santa Ana culture manifests itself through tribal theocracy, which continues to play a role in the tribal government, and through the re-emerging tribal arts and crafts community. The Old Pueblo is only open to visitors during feast days: June 24/St. John, June 29/St. Peter & St. Paul, July 26/St. Ann, July 25/Santiago and December 25/Christmas. Call ahead to confirm event dates, as well as access to tribal lands. There are times when tribal leadersneed to restrict access because of private ceremonies and other reasons. Although most Pueblos are open to the public during daylight hours, the homes are private. 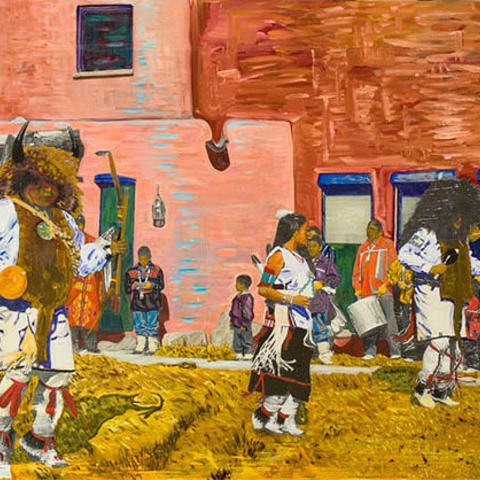 Like any village, our Pueblo is home to those who live there and should be respected as such. Photography is prohibited during Pueblo feast days. REMEMBER: cameras and film can be confiscated. Tribes value traditions, customs and religion. Some actions and/or questions could be offensive, so refrain from pressing for answers. Tribal dances are religious ceremonies, not public performances. It is a privilege to witness a ceremony. 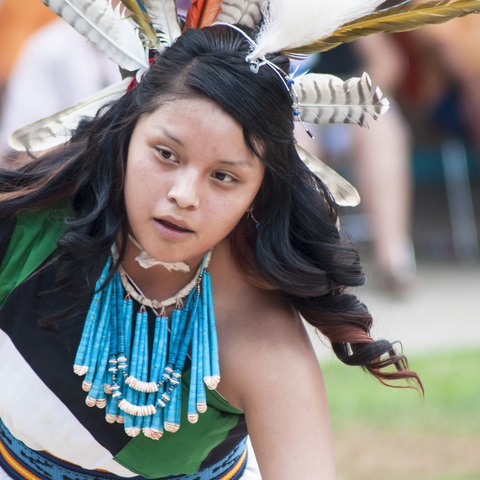 Silence is mandatory during all dances and Pueblo ceremonies. This means no questions about the ceremonies or dances while they are underway; no interviews with the participants; no walking across the dance plaza; and, no applause during / after the dance or ceremony. Pueblo villages, including Kivas, ceremonial rooms, and cemeteries are sacred places and restricted foruse by Pueblo members only. On feast days and other public observances, enter a Pueblo home as you would any other - by invitation only. It is courteous to accept an invitation to eat, but not to linger at the table, as your host will want to serve numerous guests throughout the day. Thank your host, but a payment or tip is not appropriate. Please obey all traffic and speed limit signs. Children and pets play near the roads. Also be cautious oflivestock on or near main roadways. Refrain from bringing a cell phone onto the Pueblo. Tribal officials could confiscate cell phones if theyfeel they might be used for photography or recording. Also, the ring tones as well as personalconversations can easily disrupt other visitors’ experiences, as well as daily tribal life. Tribal communities do not use the clock to determine when it is time to conduct activities. Acts of nature, as well as the sequence of events that must take place (some not for public viewing) usually determine start and finish times for ceremonies.